Sign up today and become a member of the Irish Horse Welfare Trust. By becoming an Irish Horse Welfare Trust Member you are making the rescue and rehabilitation of neglected and abused equines in Ireland possible. Sign up today and give € 5.00, €10.00 or €20.00 a month (or any amount you can afford) and become a regular giver to the Irish Horse Welfare Trust. 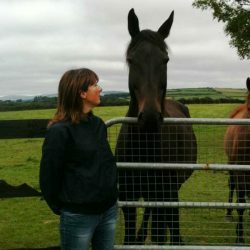 By donating to the IHWT you are giving Irish horses a second chance at life. You can make a one off donation of any amount to the Irish Horse Welfare Trust to help neglected horses have a brighter future. The Irish Horse Welfare Trust is funded almost entirely through public donations. You can make a real difference by organising your own fundraising event. If you are a horse owner or a horse lover who wants to help the IHWT and get involved, why not organise a fundraiser for the charity and help horses in need.